Botox works wonders in minimizing wrinkles and fine lines, and this facial treatment is especially effective when used in conjunction with cosmetic dentistry. However, Juvederm may be the better choice for some patients, and your cosmetic dentist is one of the most qualified people to administer such a filler. 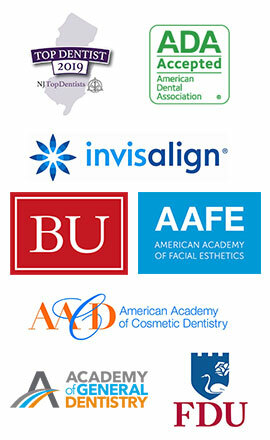 Cosmetic dentistry is customized to make your teeth, smile, and face look natural and stunning. Procedures such as porcelain veneers and teeth whitening produce even more impressive results when complemented by a facial filler such as Juvederm. Juvederm is a smooth, injectable gel that instantly replaces lost volume and hydrates lingering smile lines so they disappear. As a result, the wrinkling around the mouth and nose becomes smooth. With straight, white teeth and a face free of nuisance wrinkles, many patients realize that they have discovered the fountain of youth – and it’s all courtesy of their Bedminster cosmetic dentist. 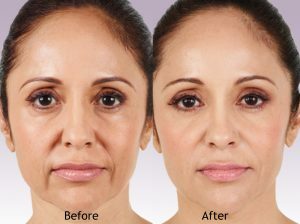 Why See Your Bedminster Dentist for Juvederm? Cosmetic dentistry has the power to change your appearance dramatically. However, when you want even more enhanced results from your smile makeover, a facial filler completes the dramatic one-two punch to erase wrinkles and complement your gorgeous teeth. Juvederm is typically used to treat the wrinkled areas around your mouth, which makes the delivery of this filler a natural extension of a cosmetic dentist’s abilities. Your dentist gives gentle, painless injections every day to complete dental work, creating an especially sound foundation for the administration of Juvederm and other facial fillers. Your dentist’s thorough knowledge of the mouth, jaw, and face makes it possible for you to get maximum benefits from cosmetic dentistry and Juvederm, or Juvederm alone, so the look you’re striving for is achieved safely and effectively. Juvederm is made with a modified form of hyaluronic acid, which is a naturally occurring sugar in your body. Safely absorbed and metabolized by your body, Juvederm provides subtle but incredibly effective results for moderate to severe facial wrinkles and folds. The results of Juvederm – besides providing an immediate, natural-looking improvement in your appearance – are long-lasting, and can stick around for up to one year, though results will vary for each patient. 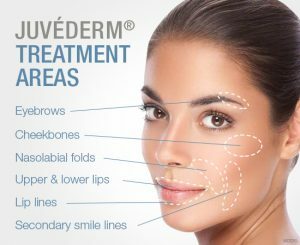 You can go about your day as usual after a Juvederm treatment as there is barely any downtime after the procedure. It has been proven that a beautiful, healthy smile makes you look younger, smarter, happier, and more capable. Being able to take the amazing results of cosmetic dentistry one step further with Juvederm enhances your appearance, renews your confidence, and is truly life-changing. If you want to look and feel completely refreshed and show off your beautiful smile with the help of Juvederm, your Bedminster dentist can deliver. If you are happy with your teeth and want a tremendously qualified professional to administer Juvederm, you’ve found the right place. Say goodbye to laugh lines, smile lines, parentheses, or marionette lines with Juvederm. Contact Bedminster Family & Cosmetic Dentistry to schedule your consultation, learn more about Juvederm, and find out which cosmetic procedures are best for you.